It has returned! 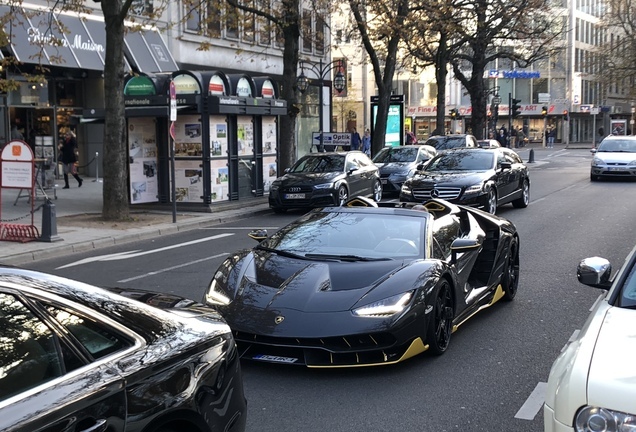 After spending the winter in storage we can enjoy the spots of this amazing, unique and eccentric Lamborghini Centenario. At first sight I was not a big fan of the color combination on this raging bull. But the more I see it, the more I start to appreciate the color choice of the Dutch owner. 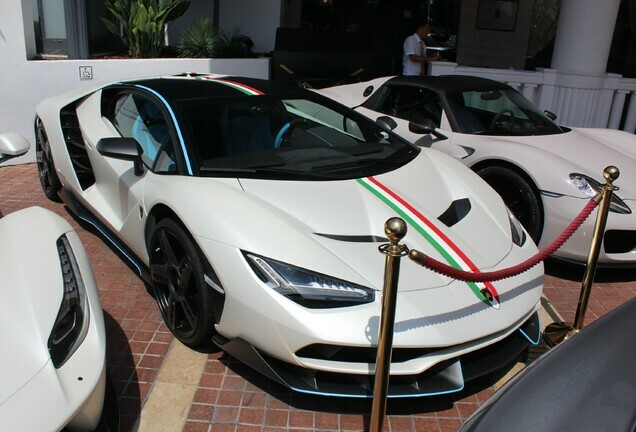 Of the twenty Centenario coupes made, this is the only one in this color combination. 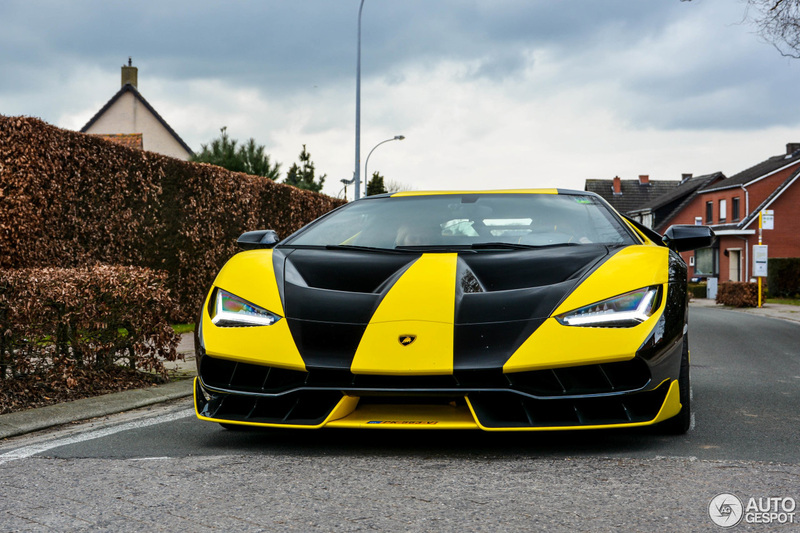 The body of the Centenario is defined in a gloss carbon fibre. The front bonnet, scissor door panels (always reserved for V12 models) and roof line are fluent, aerodynamic and organic: the lower parts in matte carbon fibre are functional, technical and dedicated to aerodynamic superiority, including front splitter, side skirts, wheel arches and rear diffuser. 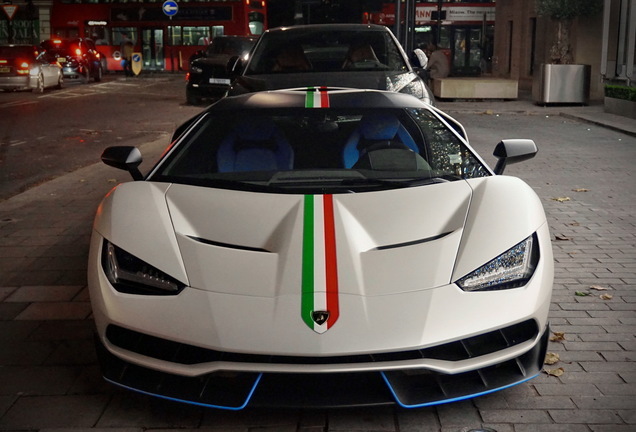 The irregular wheel arches, both front and rear, are a defining feature of the Centenario, as they have been in other Lamborghini models. Accented in matte carbon fibre and concealing airflow ducts, they highlight the aerodynamic design of the car. 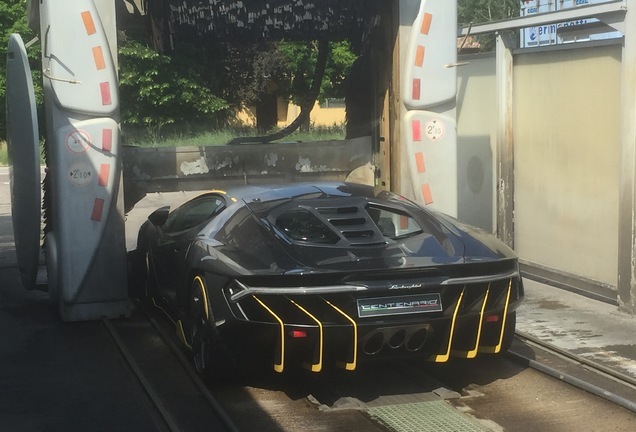 The profile of the rear wheel arch particularly attracts attention, accentuating the Centenario’s rear-wheel steering. Pirelli PZero tires, developed specifically for the rear-wheel steering, sit on exclusive 20”/21” front/rear rims in forged and milled aluminum. The spokes’ fan shape, accented in carbon fibre, mask ducts extracting hot air from the carbon ceramic brakes, finished with a central-locking wheel nut sporting the Lamborghini bull. The integrated rear diffuser dominates the back of the car, its substantial dimension optimizing air flow distribution, maximizing the car’s downforce and aesthetically emphasizing the importance of aerodynamics in the Centenario. Like many mechanical parts around the car, exposed to maximize heat exchange, the rear tyres are visible, while floating in the void above the diffuser are the Centenario’s ‘Y’-shaped rear lights. Seemingly suspended in air but attached at each end of the ‘Y’, the LED lights stretch the full width of the rear. 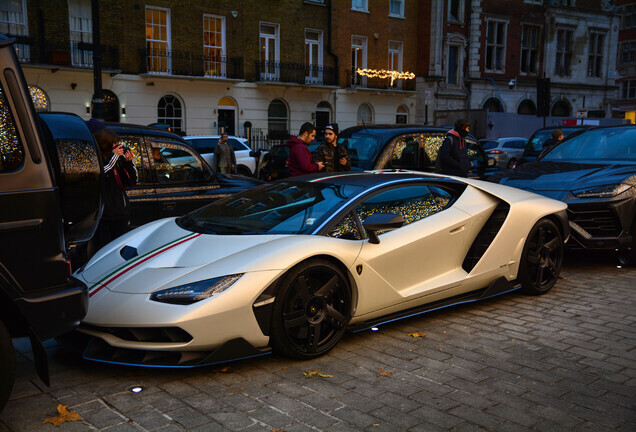 The Centenario is as distinct at night as it is during the day. An extendable rear wing is integrated in body when stationary or at low speeds to preserve the minimalist lines of the Centenario. According to vehicle dynamic conditions and Driving Mode chosen, the wing extends to 150mm and rotates up to 15 degrees for optimal aerodynamic efficiency in high performance conditions. Finished in black and yellow, all these unique design features pop even more! Stunning!